The next chapter in public library service in Wichita begins Saturday with the opening of the Advanced Learning Library. Technology upgrades are part of every area in the $38 million building at Second Street and McLean Boulevard. Library staff conducted a media tour of the new building Wednesday. Several art sculptures in the shape of written scrolls are at the entrances. 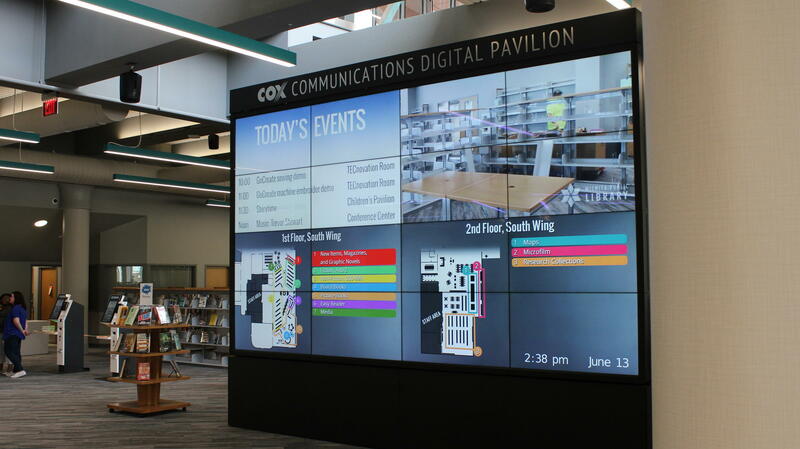 Once inside, it is hard to miss a huge video wall on the main floor with library information and pictures. The video display can also be used to broadcast events that are happening in the nearby conference center. Visitors can check out books, pay fines and renew materials by using one of eight kiosks located throughout the building. Counter service is also available on the main floor. The Advanced Learning Library increased the number of computer stations available and built the latest technology into meeting rooms, a technology classroom and a dedicated audio/video studio. The Central Library had 31 computer stations; rows of computer stations and desks with computers are located throughout the new open spaces. Director of Libraries Cynthia Berner says the Advanced Learning Library has the electrical infrastructure to support hundreds of devices. “We’ll be able to have many more people connected at any one time," she says. "If people have their own devices, they will find that Wi-Fi to be more powerful, and if they need a library computer, there will be more of them so the wait times will be shorter." The seating areas in the book collections feature outlets and USB drives for further connectivity. “One of the biggest things that public libraries do these days is to ensure digital inclusion and making sure that nobody is left out because they don’t access to the technology or to the online material," Berner says. "This building just lets us do so much more than we’ve been able to do before in addressing that for Wichitans." The children’s area features an interactive floor and several illuminated activity tables. A wall with video displays is set up for gaming. Special computers that are not connected to the Internet are also available for young children. The new library also features a “maker space” for hands-on crafts, activities and classes. A 3-D printer can replicate items in minutes. The demonstration table at the front of the room has a video camera overhead to display the work on a large screen. And to make book returns more efficient, there’s an automated conveyor belt system to check in and sort the incoming materials. Other changes to note in the new library: non-fiction materials are in one area on the second floor instead of across multiple floors as they were in the Central Library. The second floor also includes local history and genealogy materials, a terrace and more small meeting rooms. The first floor includes the children’s area, a new teen area, space for technology users, fiction, magazines and the music, film and audiobook collections. A conference center and small group collaboration rooms are also located on the main floor. Building a new library in the core of Wichita was one of the key components in the library facilities master plan adopted in 2006. It will be a few months before the 50 year-old Central Library at 223 S. Main is completely empty and closed for good. Berner says furniture and shelving were left behind, and will go through a multifaceted surplus process. “There are some things that we know we can make good use of in our branches," Berner says. "Then we will let other city departments come in in case there is anything they can use. "Whatever is left will go through the normal city surplus process to ultimately clear the building for whatever its next use may be." The Central Library is the property of the City of Wichita. The city council will decide the future of the building. Special events are planned for Saturday’s opening including a ribbon-cutting, a few storytimes and several musical performances. 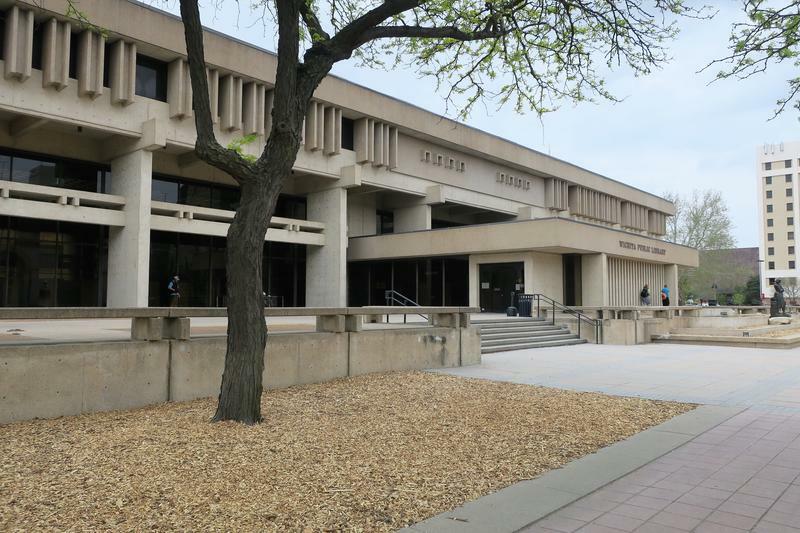 The Wichita Public Library system is working to digitize its library card applications. It’s one of the projects that began in preparation for the move to the new Advanced Learning Library. Library staff has been working more than a year to digitize thousands of original library card applications kept at the Central Library downtown. 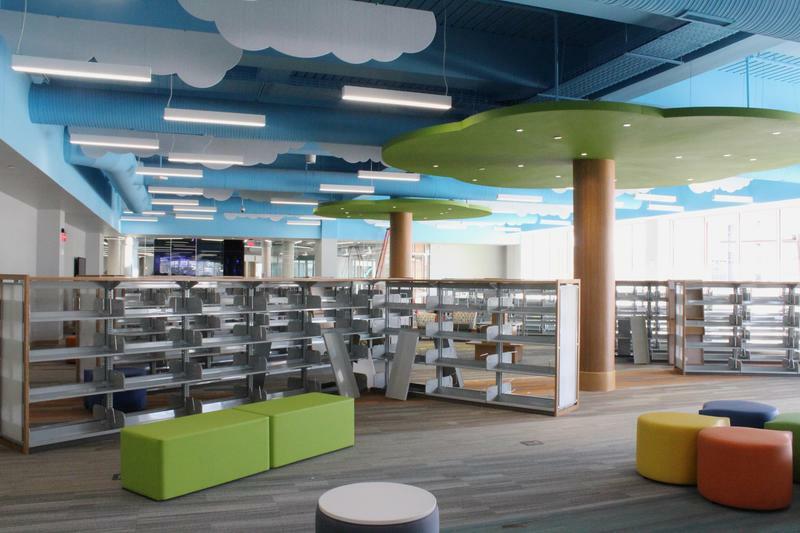 The children’s area in the new Advanced Learning Library in Wichita will feature a new approach to book displays.